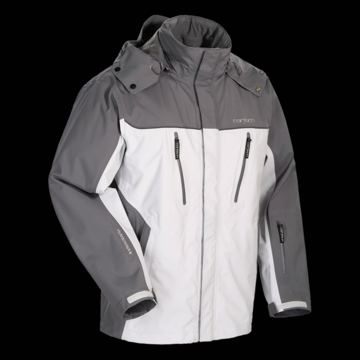 Ready for whatever Mother Nature throws your way, the Brayker Jacket features a waterproof, world-class Nanomax 3.0 membrane, a removable hood, Cortech’s Patented Aqua-Barrier Under-The-Helmet-Hood and a removable internal waist gaiter. • Two waterproof interior chest pockets, two waterproof hand warmer pockets and two waterproof external chest pockets. • Phoslite® reflective material for increased visibility. • CAUTION: The Cortech® Brayker Jacket is NOT a replacement for protective riding gear and equipment.